The Dashboard is the first screen you see when you log into the administration area of your website. This is where you will find any important information and announcements. 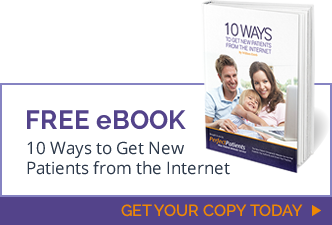 Getting started with the Perfect Patients website service is easy! Below you will find our website dashboard orientation. 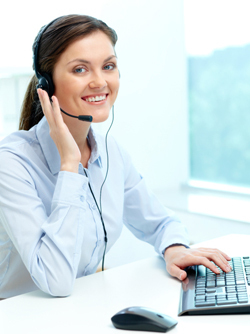 If at anytime you have questions or would like us to walk you through over the phone, don’t hesitate to contact us! We pride ourselves on exceptional service to help you get the most from your Perfect Patients website. We look forward to working together! 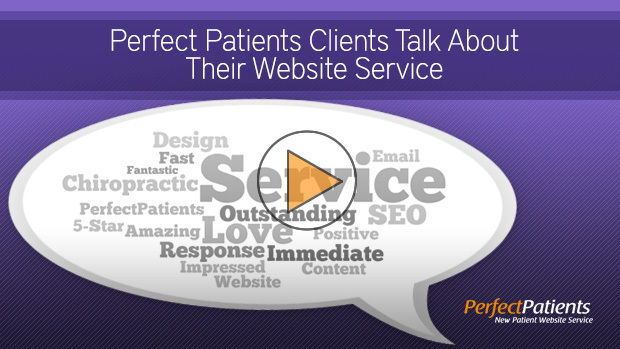 Watch the below video for an orientation to your Perfect Patients website dashboard. You’ll see what’s included and learn how to add subscribers. Website Dashboard :: The backend of your website where you can manage your website, subscribers and send mass emails to your patients. Subscribers :: Patients who have been added to your website dashboard and will receive monthly newsletters, birthday greetings, and a new patient survey. Email :: The email option from your dashboard gives you the ability to email all subscribers (patients) at one time using a branded header similar to your website’s header. Patient Education :: During the first week of each month, we’ll research, write, publish and broadcast your practice eNewsletter. You’ll know patients are engaged by their frequent comments about the thought-provoking articles. The printable PDF version is perfect for the front desk or for sending to patients for whom you don’t have email addresses. Birthday Greetings :: Like clockwork on each patient’s birthday, we’ll send a quick greeting on your behalf wishing him or her a happy and healthy birthday. New Patient Survey :: As each new patient is added as a website subscriber, they receive a welcome email with a link to an online survey. Learn valuable feedback about your first visit procedures, uncover staff training opportunities and enhance new patient referrals. New Patient Tracker :: When you add website subscribers, we’re able to turn on your new patient tracker in your website dashboard. You’ll have the most important website statistics at your fingertips. Know your conversion ratio (unique visitors divided by new patients) and how many hours of patient education your patients consumed. Go to your website and add “/dashboard” to the end of your url. (e.g. www.yourwebsite.com/dashboard) to sign in now. How do I email from my dashboard? Remember, Perfect Patients is a chiropractic website service. So, you don’t just get a website, you get a website that is constantly being updated with new content, SEO refinements, emails sent on your behalf and much more. From day one, your dedicated Website Production Specialist will guide you through the process of creating your website; providing suggestions, and sharing the experience acquired helping hundreds of other practices create their online masterpieces. You’ll always have someone to ask questions, bounce ideas off and get ideas from. More importantly, that support continues after your site is launched. Changing your hours? A new staff member? A new piece of equipment or service? Just let your Perfect Patients “Dream Team” of support experts know with a phone call or email and voila! Done. It’s all included in your service. These sorts of updates are often accomplished in hours, sometimes minutes! Which is often not the case with competitors who sell websites as products. If you’re a do-it-yourselfer, you’ll have access to the workings of your site and a console so you can make changes whenever you wish. The simple Word-like interface makes it easy. The Perfect Patients website design, functionality and quality content make it easy to choose Perfect Patients. But it will be the extraordinary service that will prompt you to keep your Perfect Patients website for many years into the future!